Four big tents with 40 local and regional breweries. 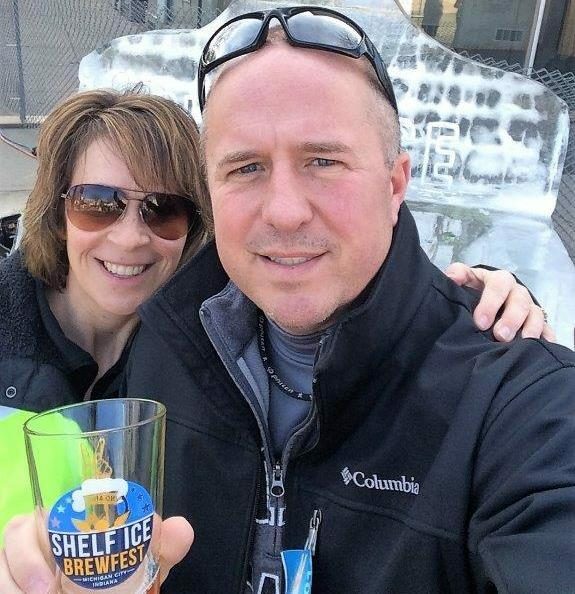 Fun snow stuff, fire pits, ice sculptures, food trucks and Hammerschlagen. Lots of fun people to have fun with. Event is sponsored by the Michigan City Mainstreet Association and sells out.